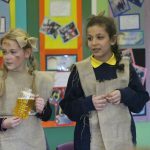 Thank you to Violet Class for treating us to ‘Vikings have Talent’ where the audience met four of the gods worshiped by the Vikings as they demonstrated their skills. 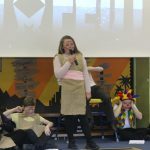 The mighty Thor lifted weights and beat Mr MacKinnon in an arm wrestle, Odin the mind reader tried to read Viking minds, Freya tested our hearing with her unique singing and Loki the joker danced and amused us with Viking based jokes. 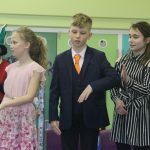 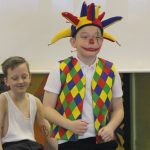 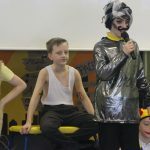 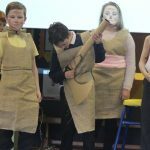 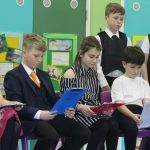 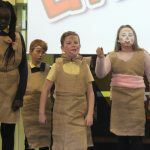 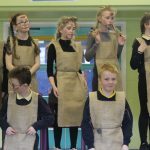 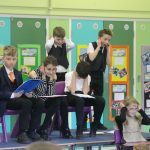 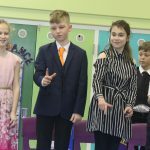 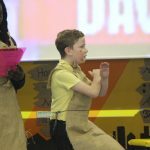 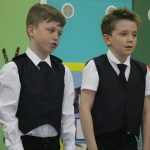 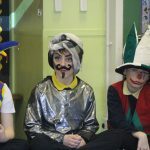 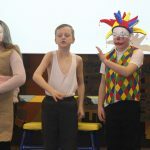 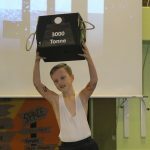 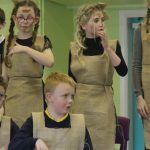 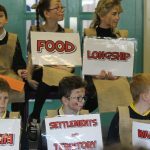 Every child was on stage to be seen and the children delivered their lines clearly – both amusing the audience and teaching us names, terms and facts about these important people in our national history. 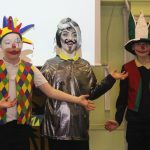 Assembly ended with a great song about the Viking invasions which was delivered brilliantly!